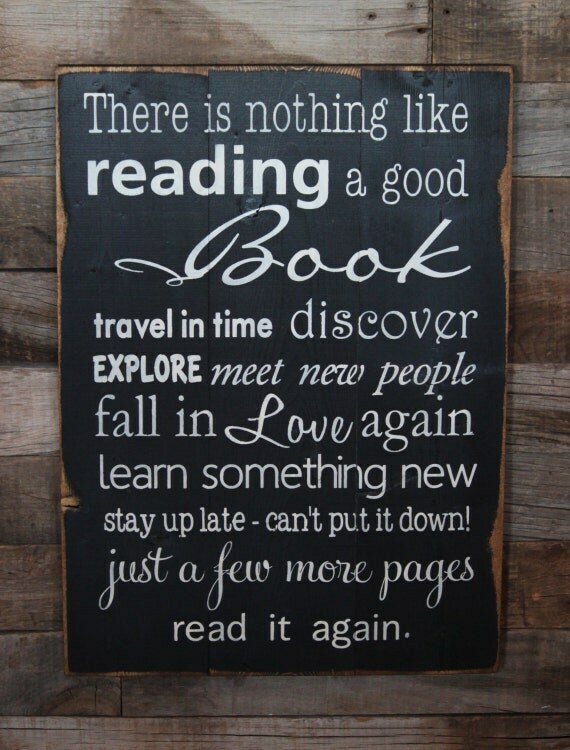 We got a little bit of everything for this week's "Gift Idea For The Book Lover"! Scroll down below and check out this week's items and let me know which is your favorite? If you're a reader than this is a must have for your library, or book shelf! Great inspiration for all ages. Made in "shabby chic" style with pine wood and hand painted/stenciled (No Vinyl) for that rustic long lasting look! Measures 16" Wide by 23" Tall! We do not cover or hide the natural dents and knots in the wood as it adds to the character of the piece. Sign comes with pre-drilled hanging slot in back for an easy/snug installation. 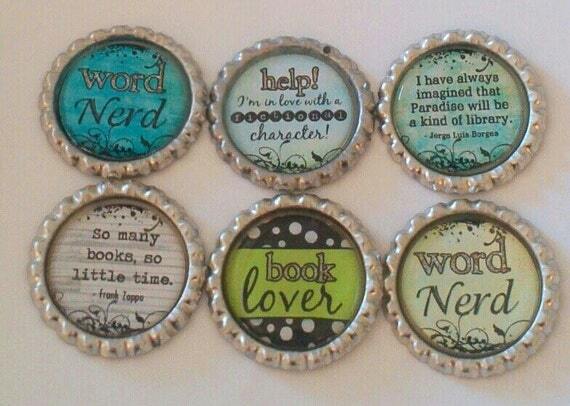 Fun little (1.5" X1.5") clip on charm for Book Lovers of all sorts! 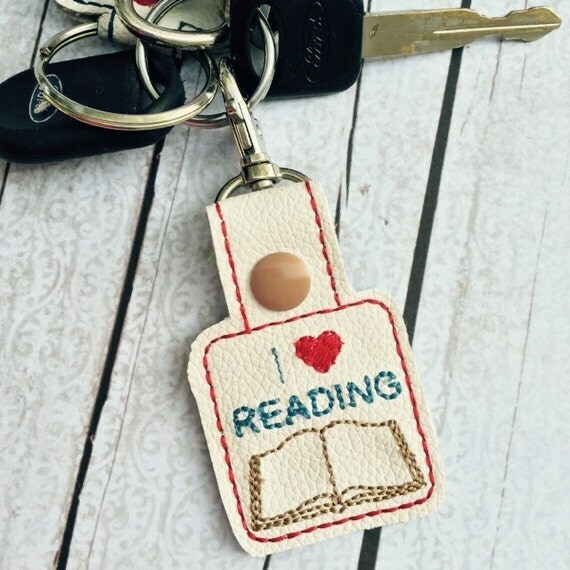 Clip it on your Keys, Purse, Backpack, Gym Bag,Duffel Bag,Library Tote or Zipper of your Hoodie! Some things go better together: like Peanut Butter and Jelly, or Cheese and Macaroni-- I personally love the combo of Books and Tea. 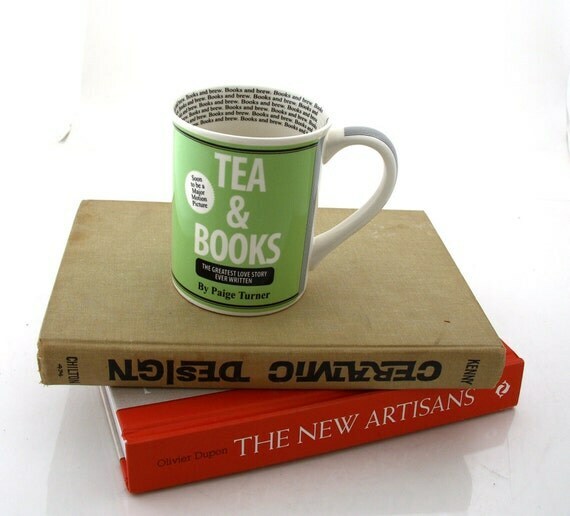 "Tea and books are the new Coffee and a Newspaper"
Inside the mug towards the top it reads: Books and Brew. The handle is designed to look like pages. Glazed a mint chocolate chip green. This stoneware mug- heavy duty and durable--measures 3.5 x 4.5 and holds 16 oz. of you favorite coffee or tea. Made from all lead free, eco-friendly materials- kiln fired twice in my New jersey studio. Safe to place in the dishwasher and microwave- made to be used and enjoyed- it's an honor to be left in your sink.